Queens Hood Cleaning Pros offers certified exhaust cleaning in Queens, NYC. 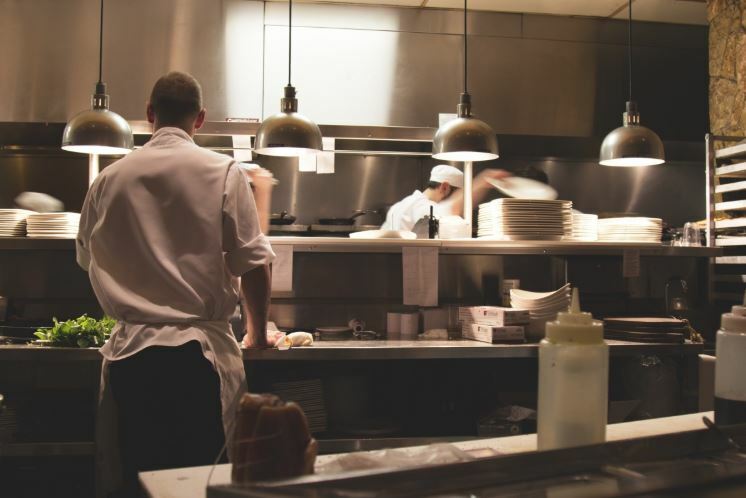 The commercial kitchen exhaust system is critical to the success of your restaurant, which is why we recommend regular cleanings and maintenance. The continuous amount cooking required to keep most restaurants going creates a tremendous accumulation of grease and fatty oils on everything, including kitchen equipment. This significantly increases the risk of a fire due to the exposure to sustained levels of increased heat. The potential building and kitchen damage can be very costly if something happens, so it’s best to be proactive whenever possible. Instead of risking a fire, contact our team at (718) 237-1725 to clean it. Regularly maintaining your kitchen exhaust system is the only way to prevent a fire. What does kitchen exhaust cleaning include? Our kitchen exhaust system cleaning service starts with a detailed estimate. We will arrive on time for our initial walk-through and do a comprehensive inspection of your hood system, vents, filters, ducts, and all related elements. We check for problems, cleanliness, overall set-up, and all potential health and safety concerns based on our knowledge of the fire safety code and local, state, and federal regulations. Because we have ex-inspectors on our team of experts, we know exactly what to look for to avoid violations during your next inspection. When we’re done, we’ll go through a detailed list of recommendations together regarding cleaning, any repairs or modifications to the equipment, the system itself, or the setup, and any other suggestions to improve the safety of your kitchen. Part of that means educating the decision makers at your restaurant on why we made certain recommendations and what it will do for you. Afterwards, simply let us know how you’d like to proceed. We can handle one thing or everything – that’s up to you. Restaurants call on us frequently to sanitize the commercial exhaust in preparation for an upcoming inspection. We use FDA-approved solutions to steam clean and power wash everything to remove all traces of dirt and germs. When we’re done, the place will be sparkling clean like it was when you first started. How do I know when the commercial exhaust ducts needs to be sanitized? How frequently you clean your commercial exhaust system depends on the type of cooking you do and the regulations set forth by your insurance company. Across the industry, schedules range from every few months to annually. If you do a sufficient amount of deep frying, chances are you’re going to be on the more frequent end of the spectrum due to higher than normal grease accumulation. The local health department provides specific laws to follow, and the insurance company will provide regulations as well to minimize risk and keep active coverage with them. The severe violations and penalties for failing a state health and safety inspection can cease restaurant operations on the spot. As such, we highly recommend consulting the Queens Hood Cleaning Pros to sanitize for you as a preventive measure. If you’ve tried to remove the grime and it just won’t come off, call (718) 237-1725 for a free estimate. We enjoy cleaning, and we use special chemicals that are safe and effective. ​One of the key indicators that you need our assistance is a rattling extractor fan. The extractor fan is responsible for pulling out hot, dirty and returning cool, clean air back into the kitchen. They always make noise, but it’s a constant purr, not a drum solo. It’s just something to look out for. If you start hearing rattling noises, there might be an issue with the fan. One possible cause for rattling is grease build-up. Fatty oil vapors stick to everything in their path as they move through the vents, so the fan is a common problem area. Because the exhaust systems are weight sensitive, an accumulation of residue on one blade or side can cause an unbalanced rotation that degrades the efficiency of the whole unit. Another potential cause is that it’s broken. A cracked blade or malfunctioning motor is noisy as well, and it will eventually fail. We can install a new extractor fan or service it and replace the parts. We work with all the big brands, so we probably have the parts you need right in our vehicle. If not, we can get them for you fast, at a great price. Removing grease from the vents of your restaurant may not sound like a fairy-tale job, but I love it. Performing a perfect cleaning make me smile and it feels good to know that our work enables restaurants all over Queens county to keep going without a hitch. My employees come to work everyday with a passion that many people don’t have. They strive for perfection and they’re not happy until you are. We do everything in our power to take some of your stress away by getting your kitchen into great shape. We look forward to working with you.